There have been numerous attempts to bring the legend of King Arthur and his sword, Excalibur, to the screen over the years. Some have been good – Disney’s animated The Sword In The Stone is cute, and John Boorman’s Excalibur has its moments – but most have been disappointing, including First Knight (with Sean Connery and Richard Gere), King Arthur with Keira Knightley, and Guy Ritchie’s dull King Arthur: Legend Of The Sword, starring Charlie Hunnam. 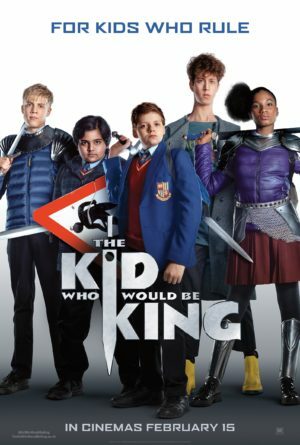 Running away from bullies Lance and Kaye, 12-year-old Alex (Serkis – son of actor Andy) stumbles into a building site and sees a sword sticking up from a piece of concrete. He pulls it free, but his actions help awaken the evil sorceress Morgana (Ferguson), whose grand plan is to save all of England. Luckily, Alex has the help of his friend Bedders, the reluctant aid of Lance and Kaye, and the leadership of a new kid at school who reveals himself to be the magician Merlin (Imrie). Together they must destroy Morgana, which involves a trek to Cornwall, an upcoming solar eclipse and the raising of an army (the kids at school, wielding road signs as weapons) to defeat her and her fiery-eyed resurrected knights. Very similar in tone to eighties movies like The Goonies and ET: The Extra Terrestrial, this is entertaining fare for adults and kids but is never quite funny or exciting enough to become a family classic. There are some terrific moments – an hilarious car chase, magical trees teaching sword fighting, the kids defending their castle (the school) – but also some quite dull ones that slow everything down. Ferguson doesn’t get a chance to be wicked enough (she’s buried underground for much of the movie), while Patrick Stewart, as the older incarnation of Merlin, is barely on screen at all. Luckily Imrie, as the younger version of the wizard, is brilliant, and the kids – especially Serkis – are great, too. 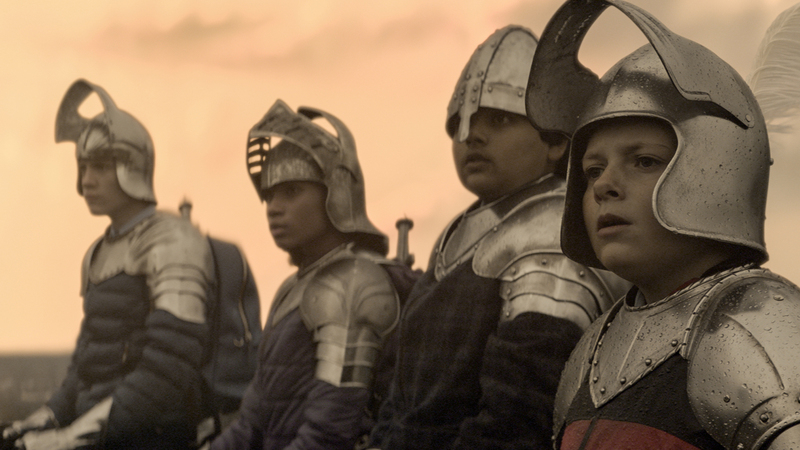 A likeable sword and sorcery adventure for older preteens (younger kids may be scared by the knights – see notes below) that’s better than many ‘adult’ takes on the Excalibur story, and worth catching for the enjoyable performances from Serkis and Imrie. This may have elements that are too scary for sensitive and younger (under age 9) kids, including Morgana’s knights, who are quite menacing with fiery eyes, and Morgana herself, whom we first see as a tangled web of tree roots coming to life. Later in the movie, Morgana turns into a creature and attacks the children which may also be too frightening for very young viewers.